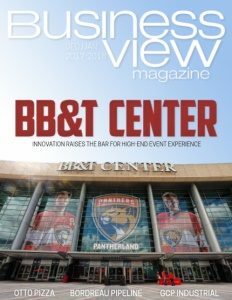 Business View Magazine interviews Addie Javed, Haines City’s Public Works Director, as part of our series on best practices of American cities. 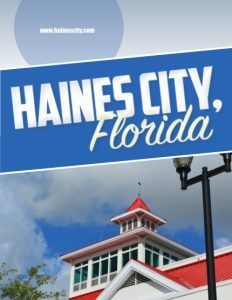 Haines City, the third most populous city in Polk County, Florida, was originally incorporated in 1925. Its early settlers planted citrus groves, and citrus growing and processing was the main industry of the city for many years. In the latter part of the 20th century, Haines City was also home to a few tourist attractions, including Circus World, a theme park created by the Ringling Brothers and Barnum & Bailey Circus, which ran from 1974 to 1986, and Boardwalk and Baseball, featuring carnival games and rides, which closed in 1990. “One of our biggest incentives that we try to offer is impact fee credits,” Javed continues. “We open the door to developers to come in and tell us how they are going to do things above and beyond the local standards to meet community needs, and then, based on that, we try to work with them to offer them credits. So, it’s less costly for them to build the much needed infrastructure and at the same time it gives them the incentive to build more houses or bring in more businesses.” The city is also working with the state’s Department of Environmental Protection to see about developing some of the brownfield sites within the city limits. Javed adds that that first complete street also serves as a gateway to one of Haines City’s premier destinations – the Lake Eva Event Center, which received a $30 million renovation about ten years ago. Located on the shore of Lake Eva, the Event Center hosts business meetings, conferences, weddings, receptions, banquets, and parties. The nearby Lake Eva Community Park is home to several annual, local events including, “Thunder on the Ridge,” a large fireworks show, “Ribs on the Ridge,” a barbeque competition, and “Ironman 70.3,” a family-friendly, triathlon event. Javed says that the city is also working to preserve the quality of its lakes by implementing best management practices. “We’re probably one of the first cities in the area working on low impact development,” he states. “We’re working with the Water Management District on design and construction of rain gardens and bioswales in our downtown area. We want to clean the water quality of our rain water before it goes into our lakes, and by implementing these LID techniques, we’re able to treat the water before it either goes back into the aquifer or back into our lakes. And we’re doing this all over the city. It’s a three-year project. We’ve identified the first phase and, right now, we’re in the construction phase of the project. “We’re big on trying to protect our lakes,” Javed asserts. “We’re trying to see if we can connect the different lakes – for example, if one lake has a better water quality and another lake may have more nutrients in it. We have a project in the hopper, right now, called the Lake Eva/Lake Henry Restoration Project. Lake Eva has some water quality issues, whereas Lake Henry has flooding issues. By trying to connect the two lakes, we want to clean the water even more before we divert that additional rainwater from Lake Henry into Lake Eva. We’re in the feasibility study phase, right now. We’re looking at all different options. The lakes are less than four miles apart, and there are some natural canals and ditches in the area. What we’re looking to do, instead of trying to connect the two lakes with pipes and pumps, is to use the natural wetlands and the canal system and see if we can use Mother Nature to our benefit. There’s an elevation difference of about ten feet between the two lakes, so that also works to our benefit. Check out this handpicked feature on Portage la Prairie, Manitoba – City of possibilities.